One thing I would like to say….sister can we collab? I have been a strong Christian ever since I can remember, and got baptized at the age of 17! (Now 28) And honestly, my relationship with the Lord is super strong. I am also a Gospel singer so I am very happy I came to your blog. It’s nice to see bloggers who are not ashamed of Jesus Christ and are willing to talk about it in the open. I don’t know if you heard but Tori Kelly came out with a Gospel Album along with Kirk Franklin! Its the best and if you haven’t heard it I would suggest you to hear it! My favorite song on there is “Just As Sure” I feel like you will love it. 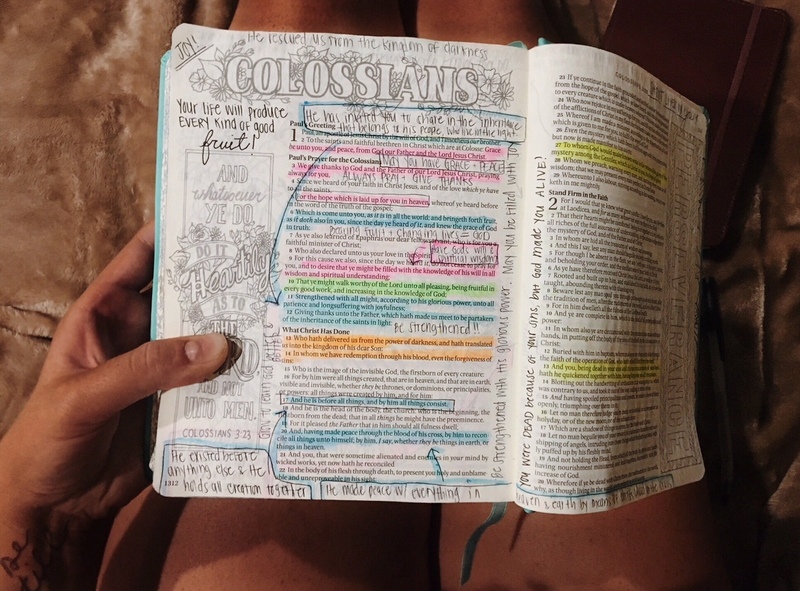 I would like to see what bible verse that stands out to you the most and why. 🙂 God bless you girl and can’t wait to see more content from you! Hi! It makes me SO happy to hear that your faith and relationship with God is so strong. I love Tori Kelly, and I’ll totally check out that song! Thanks for listing these out!